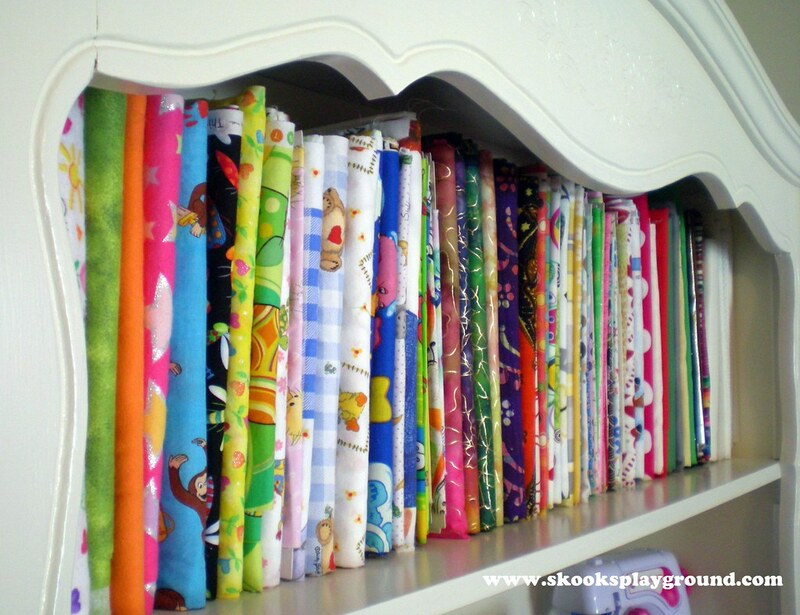 ***Skooks' Playground***: The Best Sewing/Craft Room Organizing Tips: Just a Click Away! 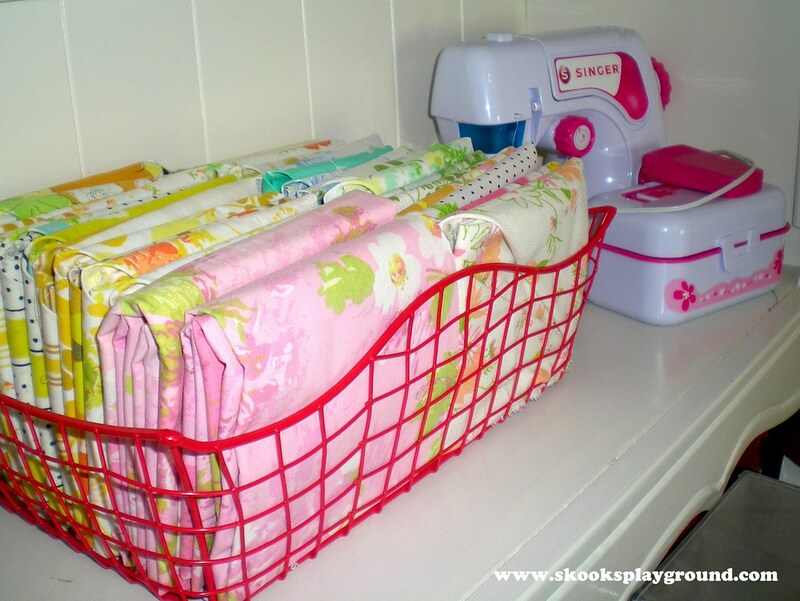 The Best Sewing/Craft Room Organizing Tips: Just a Click Away! 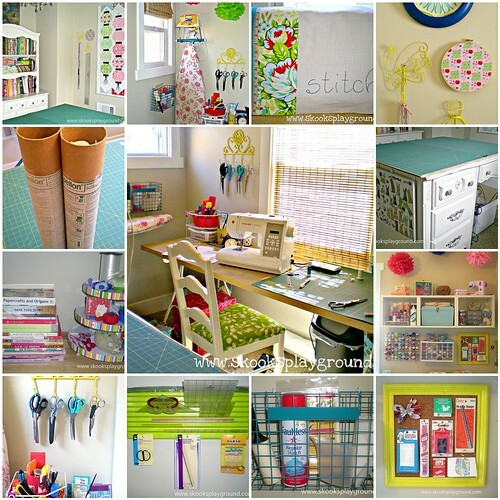 I had such a fun time the other day posting pics of my sewing room. I have designs to continue to tweak it to better organize all my supplies, and I'll post an update when I do (update: Here's how it's looking after some major reorganization). 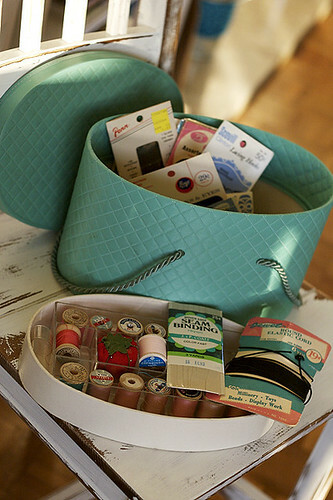 Until then, enjoy this little list of organizing solutions for all your crafty needs. Got a great tip or link that I missed? 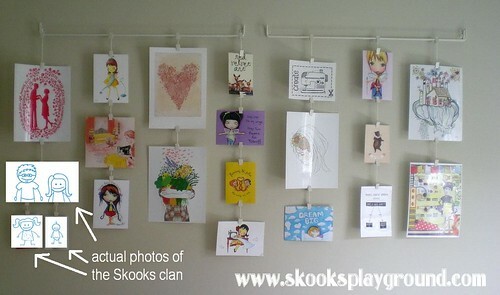 Leave me a comment or email me at skooksplayground[at]gmail[dot]com. 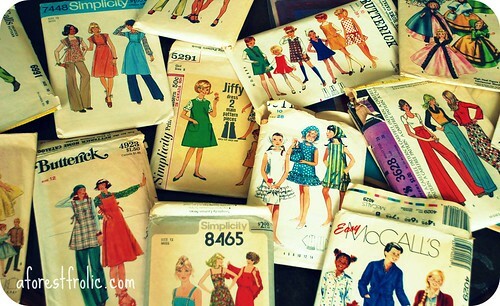 I used the tute I found on Cut To Pieces (below) to wrangle my fabric stash. Here's how things are looking these days around the Playground. This is the perfect post!! Seriously.. Would you mind reposting this on my blog as a guest? Thanks so much for the visits and encouraging words. So glad I stopped by during my "lunchtime" as now I have a good excuse to spending time looking through this great post. Thanks for all those links. This post is just what I needed. As you know, I have been a tad sidetracked lately. After seeing your Mom cave post, I had to laugh. I have been thinking of turning our closet/man cave into my sewing room. Its a large enough walk in closet to do it. 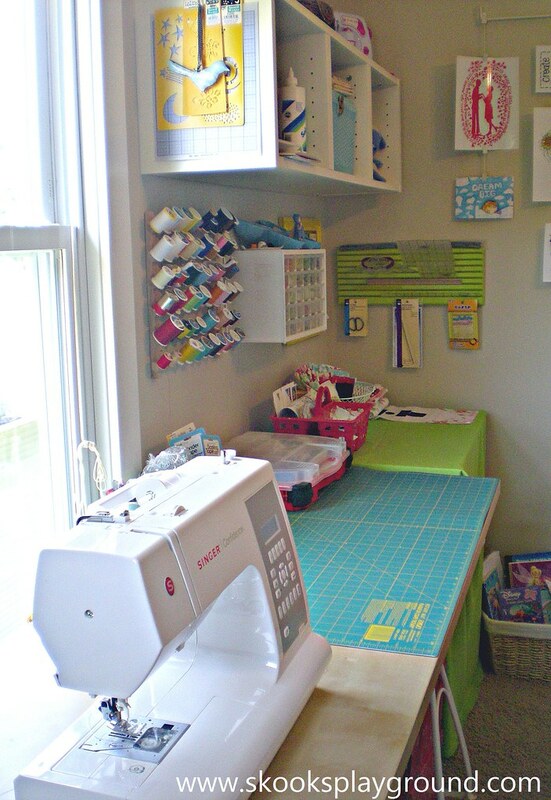 Its driving me nuts having my sewing area "in" the bedroom. I hate having to "close up shop" everyday, and start over the next day. Thanks so much for the inspiration. I'll be you posted on the "jillycave"
Wow!!!!!!!!!!! 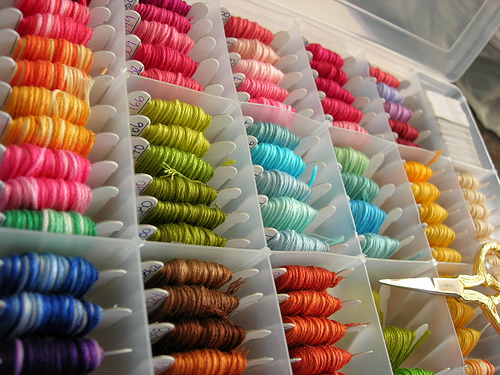 I only got through the fabric storage links. You did a super job on this. I loved the idea from stash maniure about reusing the containers. The money I could have saved. Glad everyone's enjoying this post! I've been curating these links over a LOOONG period of time . . . seems like forever. I'll continue to add to it as I come across more good ones, even if it's just for my own reference! Where has this post been all my life?! Thank you for taking the time to research and share this. This is a such a HUGE help to those of us, who need to make sense of the mess that has evolved in our creative spaces.